REGENESIS® is hosting a remediation presentation with special guest speaker, Jeffrey Carnahan, MS, LPG, Executive Vice President for EnviroForensics. Mr. Carnahan’s presentation will cover balancing the costs of active cleanup and long-term stewardship (LTS) during remedial planning, and will include real-world examples of remedial objective decision making involving an LTS component and actual costs. Mr. Carnahan will be presenting this live webinar on Wednesday, March 22nd at 11am pacific / 2pm eastern. Jeff Carnahan is a Licensed Professional Geologist (LPG) with over 18 years of environmental consulting and remediation experience. As Executive Vice President, Jeff contributes to the leadership of EnviroForensics through strategic market analysis and corporate risk management, as well as continuing his technical consulting practice as an environmental expert. 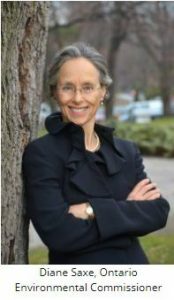 The Ontario Environment Industry Association (ONEIA) is pleased to announce that the Ontario Environmental Commissioner Dianne Saxe will offer her annual address to the province’s environment and cleantech industry on March 28th. Where is the province going with respect to organics? What will the Clean/Renewable Fuels Standard mean for companies in our sector? What impact will ongoing approvals reform have on waste and Innovation? How will the Commissioner’s office be examining the outcomes of new waste policies? What should we look for in coming years? Join us for an open discussion, then stay as the Commissioner offers remarks and meet attendees at the informal cocktail networking reception – or just come for the reception and networking. Willms & Shier Environmental Law Moot will be held on March 4, 2017 at the Ontario Court of Appeal, Osgoode Hall, in Toronto. The Law Moot may be of interested to professionals that deal with contaminated sites as the moot case is based on the 2015 Ontario Court of Appeal decision in Midwest Properties Ltd. v Thordarson. This case sets an important precedent about legal liabilities associated with soil and groundwater contamination. The Willms & Shier Environmental Law Moot, Canada’s first national moot court competition devoted to environmental law, is a joint initiative of Willms & Shier Environmental Lawyers LLP and Osgoode Hall Law School. The Moot competition brings together law school students, leading environmental law practitioners and judges from all levels of court across Canada. Distinguishing Feature — Students must argue both sides of the case. In the preliminary round, the students will start in their first match on one side of the argument, and then switch to the other side for their second match. This switching of sides requires students to exhibit mental agility under pressure. This year’s moot case is based on the 2015 Ontario Court of Appeal decision in Midwest Properties Ltd. v Thordarson. This case sets an important precedent about legal liabilities associated with soil and groundwater contamination. Midwest Properties Ltd. and Thorco Contracting Limited own adjoining properties in an industrial area of Toronto. Thorco historically stored large volumes of petroleum hydrocarbons (“PHCs”) at its property. Prior to its purchase of the property, Midwest obtained a Phase I Environmental Site Assessment of the property and was advised that further investigation was not required. Subsequently, Midwest discovered that PHC contamination had migrated to the Midwest property from the Thorco property. Midwest sued Thorco and Thorco’s principal, John Thordarson, relying upon three causes of action: (i) breach of Ontario’s Environmental Protection Act (“EPA”) section 99(2), (ii) nuisance, and (iii) negligence. Between 1988 and 2011, Thorco was in breach of Orders issued by the Ministry of the Environment and Climate Change. In 2000, Thorco and Mr. Thordarson were convicted of offences under the EPA and a Court Order was issued requiring removal of waste. At the time of trial, the respondents were in breach of both Ministry and Court orders. At trial, Thorco and Mr. Thordarson were unsuccessful under all causes of action. On appeal, the Court found Thorco and Thordarson jointly and severally liable under all causes of action. Further, the Court of Appeal held that EPA section 99(2) is a separate and distinct ground of liability for polluters. The Court awarded $1.3 million in damages and $100,000 in punitive damages ($50,000 each) from Thorco and Mr. Thordarson. Leave to appeal to the Supreme Court of Canada was denied. Manitoulin Transport recently opened a new, larger terminal in Wawa, Ontario replacing an older facility that had limited storage. The new facility, which sits on 1.8 acres, will be able to handle twice as many shipments as the old building, according to a company release. As a transportation and logistics solutions provider, it offers services including expedited less-than-truckload and truckload, transborder, intermodal, private fleet, guaranteed service, heavy haul, temperature-controlled, dangerous goods and supply chain management. Bioremediation of hydrocarbon degradation in petroleum-polluted soil is carried out by various microorganisms. In the article, collaborating researchers from Xi’an University in China and The Ohio State University argue that little information is available for the relationships between hydrocarbon degradation rates in petroleum-contaminated soil and microbial population and activity in laboratory assay. In their microcosm study, the researchers determined the degradation rate and efficiency of total petroleum hydrocarbons (TPH), alkanes, and polycyclic aromatic hydrocarbons (PAH) in a petroleum-contaminated soil using an infrared photometer oil content analyzer and a gas chromatography mass spectrometry (GC-MS). The study also involved the enumeration of the populations of TPH, alkane, and PAH degraders were by a modified most probable number (MPN) procedure, and the hydrocarbon degrading activities of these degraders were determined by the Biolog (MT2) MicroPlates assay. The results of their investigation showed linear correlations between the TPH and alkane degradation rates and the population and activity increases of TPH and alkane degraders, but no correlation was observed between the PAH degradation rates and the PAH population and activity increases. Petroleum hydrocarbon degrading microbial population measured by MPN was significantly correlated with metabolic activity in the Biolog assay. The results suggest that the MPN procedure and the Biolog assay are efficient methods for assessing the rates of TPH and alkane, but not PAH, bioremediation in oil-contaminated soil in laboratory. Researchers at the Academy of Sciences in the Czech Republic along with collaborators from other Universities in Europe recently released a paper that describes how white rot fungi was effective at reducing the level of PCB contamination in soil. In addition to the efficiency in PCB removal, attention was given to other important parameters, such as changes in the toxicity and formation of PCB transformation products. Moreover, structural shifts and dynamics of both bacterial and fungal communities were monitored using next-generation sequencing and phospholipid fatty acid analysis. The best results were obtained with the fungus P. ostreatus, which resulted in PCB removals of 18.5, 41.3 and 50.5% from the bulk, top (surface) and rhizosphere, respectively, of dumpsite soils after 12 weeks of treatment. Numerous transformation products were detected (hydoxylated and methoxylated PCBs, chlorobenzoates and chlorobenzyl alcohols), which indicates that both fungi were able to oxidize and decompose the aromatic moiety of PCBs in the soils. Microbial community analysis revealed that P. ostreatus efficiently colonized the soil samples and suppressed other fungal genera. However, the same fungus substantially stimulated bacterial taxa that encompass putative PCB degraders. The researchers concluded that the results of their study finally demonstrated the feasibility of using this fungus for possible scaled-up bioremediation applications. 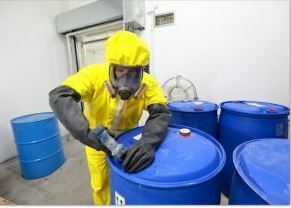 The U.S. EPA recently issued a news release in that states that Innophos Holdings Inc.a phosphate plant in Louisiana, will pay a $1.4 million penalty for sending hazardous waste to a neighbouring plant that does not have a permit to store, treat, or dispose of hazardous waste. The company, which is headquartered in New Jersey, issued a statement about the settlement with U.S. EPA and the Louisiana Department of Environmental Quality (DEQ) which said that it deals with “a small number of manufacturing processes” at its Louisiana plant in the Community of Geismar. As part of the Settlement, Innophos will pursue implementation of “Deep Well Injection” to manage its waste, a process approved by the U.S. EPA and the Louisiana DEQ by which Innophos would handle a separated co-product (referred to as “Raffinate”). This solution allows the Company to continue its current phosphate production operation in Geismar, while satisfying the outstanding environmental concerns raised in 2008 by the U.S. EPA and the Louisiana DEQ. The Settlement also confirms several proactive and voluntary improvements previously made to the Geismar facility to address these environmental concerns, further demonstrating the Company’s commitment to environmental stewardship at its facilities. Innophos recently received a permit from the Louisiana Department of Natural Resources (“LDNR”) to begin construction of its Deep Well Injection System, which began in late 2016 and is expected to be completed by early 2018. The Company estimates that the capital expenditure for the Deep Well Injection System will be $16 million. Innophos is a producer of specialty ingredient solutions for the food, health, nutrition and industrial markets. Innophos has manufacturing operations across the United States, in Canada, Mexico and China.